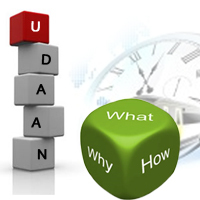 Udaan India Pvt. Ltd. is India's Leading Visa Facilitation Company head quartered in Delhi. Incorporated in the year 1992, Udaan India Private Limited is India's leading Visa Facilitation Company headquartered in Delhi and has branch offices in Gurgaon, Mumbai, Chennai, Bengaluru and Kolkata. Udaan India was conceived with a vision to abridge the complex Travel Visa Process thereby liberating clients from all the hassles associated with Visa Processing by endowing simplified Visa Facilitation Services to travelers. Envisioning the impact of technology in our lives, Udaan India was the first company to launch its Visa Portal in the year 2000. This gave us a leading edge over all other Visa Facilitators and made Udaan India a distinguished leader in the travel industry. Udaan India has always been a trendsetter in the Visa Industry and with this innovation we pioneered the online Visa Tracking System. Udaan India with its PAN India Presence caters to providing Visa Facilitation Services to Travel Agents, Travel Management Companies, Corporate, and individual traveler. 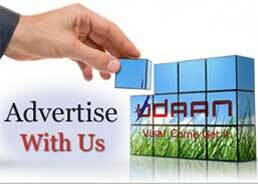 We as a Business Partner understand, analyze and offer customized solutions to our clients. The talents of the industry coupled with innovative solutions and our pro-customer approach help us in delivering quality services while ensuring security and sustainability. TAAI → The Travel Agents Association of India. TAFI → The Travel Agents Federation of India. IAAI → IATA Agents Association of India. OTOAI → Outbound Tours Operators Association of India. ETAA → Enterprising Travel Agents Association. IATO → Indian Association Of Tour Operators.